Hi I am having issues with my graph ive created. I attempted to make it like yours in your pictures but when I make the blanket it is nor working out. Do you have any advice? Whoops, I replied as a comment. See below. Can you tell me what is not working out? It is tricky if this is your first time trying corner to corner. I had to work on a table and not move my project around so I could keep the yarn untangled and aligned. Also, following the graph was tricky. I started penciling out the rows I had already finished to help me keep my place. Maybe that will help? Just keep trying as with all things, right? Good luck! You can do it!! Thank you! I was able to figure it out and have just finished. Just have to work on the border! Yay!!! I hope it turned out so well for you!! Tiffany, this is soooo beautiful pattern. 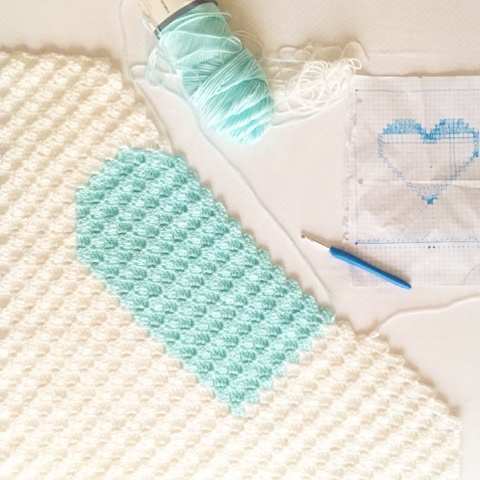 I never crocheted the 'corner to corner' stitch, and it will be a pretty task for me but will give it try. Wish me luck! I'm so glad you're going to give it a try! Good luck!! You'll pick it up just like that. I can't send it to you, but I did just add a picture of the graph to the end of the post. 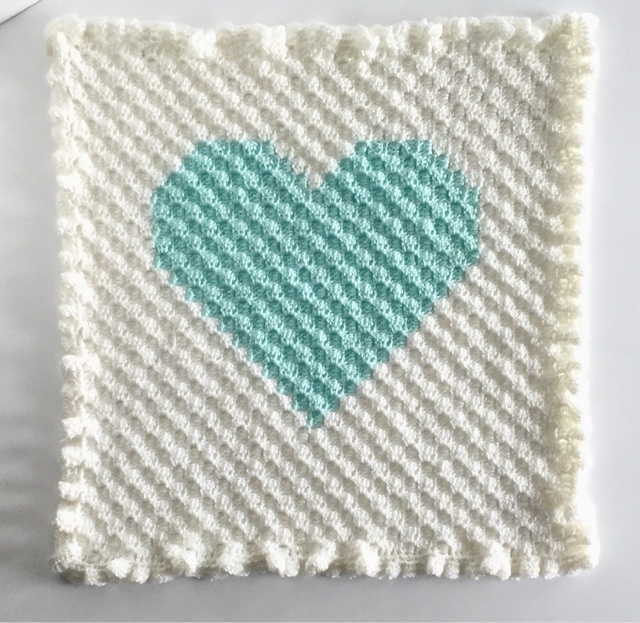 Adding the heart in is a simple as changing color of yarn when that block of color is needed according to the graph. 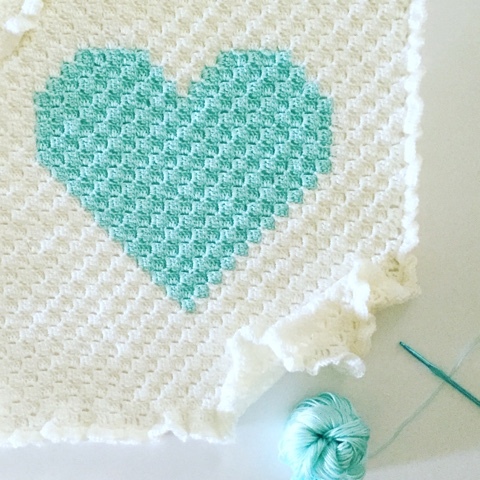 Check youtube for great tutorials about corner to corner crochet. You'll figure it out just like that! Good luck!! I just added a picture of the graph I made. I hope it helps you!! It turns out so beautiful. I love this pattern, i love the size and shape of the heart. any chance I could get a picture of the graph? I just added a picture of the graph to the blog post. I hope it helps!! It really turns out so great! Hello this is super cute! Is the dimension a 32 inch square? it depends on how you make your graph. 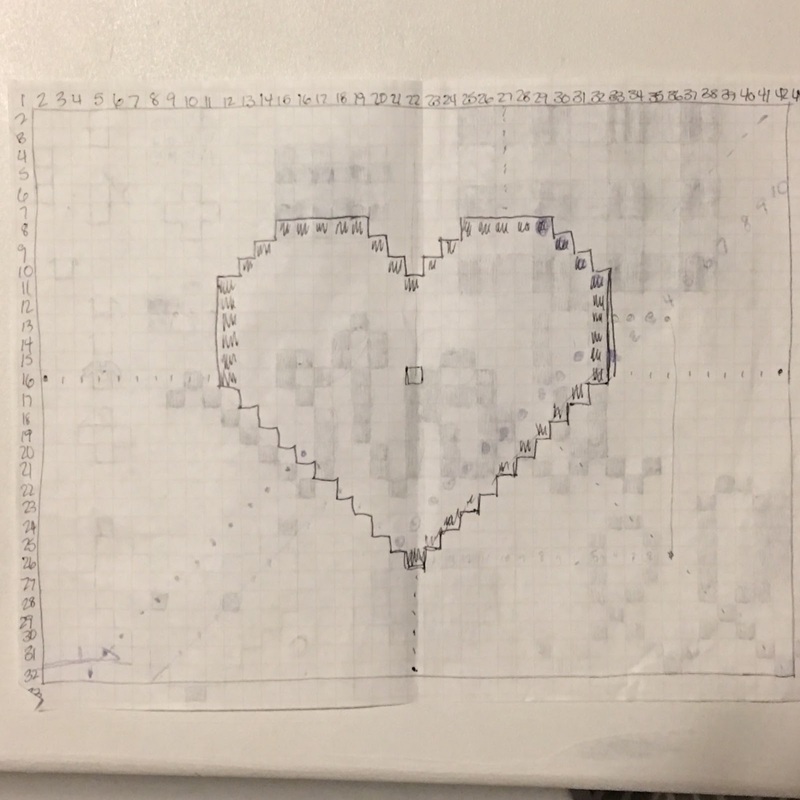 If your heart is in the middle of a perfect square than yes. I just added another graph that I did and made the square a little more oblong. 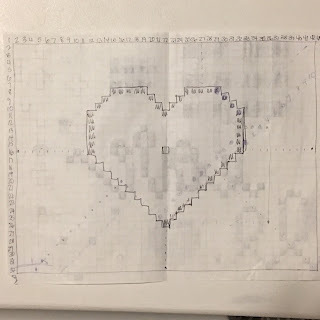 It turns out great anyway you do it, just make sure your heart on your graph is centered. I'm going to wait on your tutorial but this is gorgeous so hope it comes soon! May I ask what the dimensions of this beautiful piece is? I'm would like to make a pillow and need to downsize. Thank you so much for sharing!